*Summer hours may vary. Please call our office for more details. We can be a little tricky to find so when you are looking for our location please note that we are located directly across the street from Dunkin’ Donuts and we are on the same side of Maple Ave as the Verizon store. 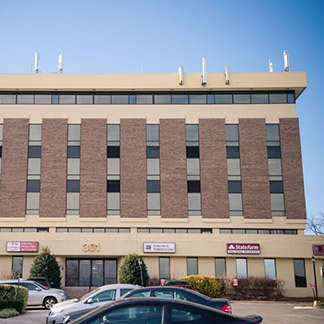 Our office is located on the 4th floor (suite #400) of the White Oaks Tower, which is a six-story, beige-brick building located towards the back of the parking lot.